Enlist! What Could Go Wrong? 22 veterans of the U.S. Armed Forces commit suicide every day. 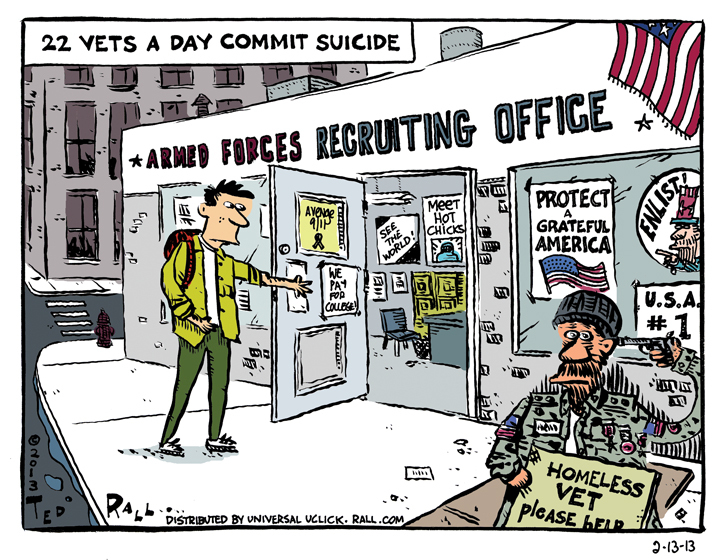 This entry was posted in and tagged 9/11, Armed Forces, army, college tuition, depression, enlist, homelessness, hot chicks, marines, mental illness, Militarism, Navy, posters, PTSD, Soldiers, Suicide, Troops, Uncle Sam, veterans, vets, world on February 13, 2013 by Ted Rall.